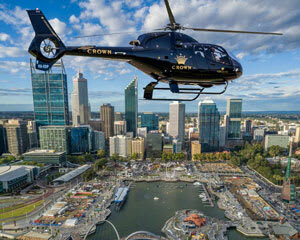 For a helicopter flight with a twist, depart from the new Crown Towers Perth! This thrilling scenic flight will fly over the City allowing you to take in the stunning views of the Perth city skyline. 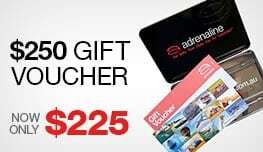 You'll soar over the City CBD, Elizabeth Quay, Langley Park, West Perth, Subiaco, and the Swan River before landing in the heart of Perth outside the Crown Casino. Depending on passenger numbers and weights, a variety of helicopter models including Robinson and Eurocopter aircraft may be used on the day. 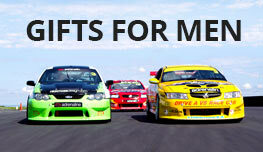 Flights take place with a minimum of 2 and maximum of 6 passengers. Depending on passenger numbers and weights, a variety of helicopter models including Robinson and Eurocopter aircraft may be used on the day.